Big Bats, Strong Arms: Who wins? 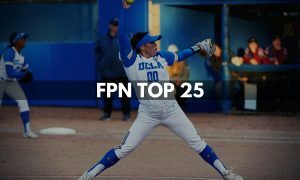 Many casual fans of the game, as well as some intense fans who just follow their local DI power and watch the NCAA tournament on ESPN, have little idea about the quality of softball being played at DII. The better teams in DII have players who were recruited by DI schools. 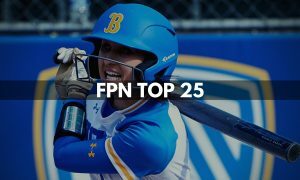 Sometimes a highly athletic girl who plays multiple sports and doesn’t play in an elite travel ball program gets missed by the top DI programs. There are DII schools who would be very competitive with mid-major and low-major DI teams. 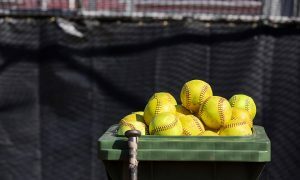 Two such schools, Colorado Mesa University and the University of North Georgia, have created this season a fun narrative for DII softball, the kind of story that writers like to look for, one with surprising contrasts. Colorado Mesa, located in Grand Junction, is ranked No. 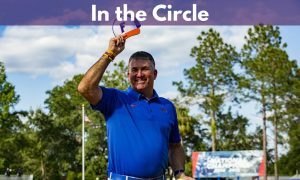 1 with a perfect 34-0 record. They have been very good in recent years; in 2017 they went 48-8 and won their league, the Rocky Mountain Athletic Conference, before being bounced out of the NCAA tournament by perennial power Angelo State, who was runner-up for the national championship. This year, Colorado Mesa upped the level of difficulty for their non-conference play, heading in early February to Rio Rancho, New Mexico, where they defeated No. 2 ranked Angelo State, No. 22 ranked St. Mary’s of Texas, and a very fine Texas A&M-Commerce team, currently ranked No. 6. 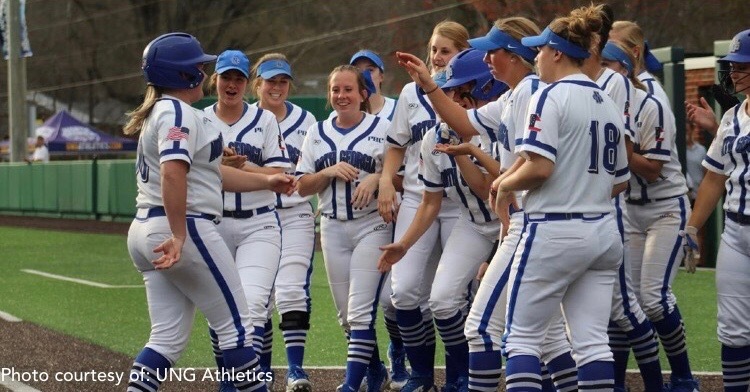 The Mavericks are strong favorites to sweep through the rest of their league games and the conference tournament, largely because they are a hitting machine. 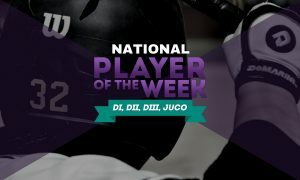 The Mavericks’ AnnMarie Torres has eleven home runs and fifty RBI, second on the team in both categories, but her .404 batting average is only seventh on the team. Maggie Manwarren, Hailey Hinson, Kaila Jacobi, Zoe Pakes, and Alexandria Dufour are all hitting above her in the .400s. Talk about a murderer’s row. But those glittering numbers are transcended by the player, Brooke Hodgson, who at this point is a likely frontrunner for DII Player of the Year (along with Texas A&M—Commerce star Mariah Jameyson). 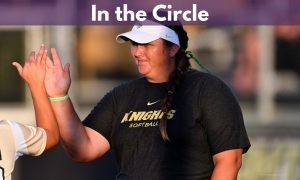 A former conference defensive player of the year, an NFCA DII Second Team All-American as a junior, Hodgson is obliterating previous successes. 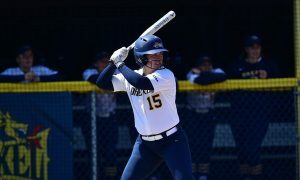 As of April 9, she was batting .549; but if you think she’s a singles hitter, check out these power numbers: eighteen doubles, twelve home runs, sixty-nine RBI. Her slugging plus on-base percentage was a staggering 1.594. Can the Mavericks keep up their phenomenal hitting in the NCAA tournament? That will be a May story, not an April one, but a team who perhaps could cool those bats is No. 2 ranked University of North Georgia, who are 43-2 on the season. While Colorado Mesa leads all of DII in hitting stats, North Georgia is doing the same in the circle, led by their two ace pitchers, both sophomores. Kylee Smith, a returning DII First Team All-American, is duplicating her freshman season, starting 22-1 with a 1.10 ERA. 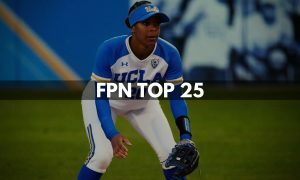 Amber Johns, 8-3 with a 2.08 ERA last year as a freshman, has elevated her game to where she is now 15-0 with a 0.78 ERA. The Nighthawks team ERA is a run a game. 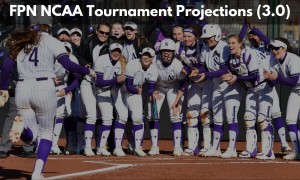 It’s fun to imagine such schools meeting in the DII Women’s College World Series, but there are a lot of games to play before the tournament even begins, and heavy favorites often don’t make it out of their regions. Colorado Mesa, for example, is in an extra-tough South Central region, which has five teams ranked in the top twenty, any of whom could battle their way to the final weekend. Mark Allister teaches literature at St. Olaf College in Northfield, Minnesota. 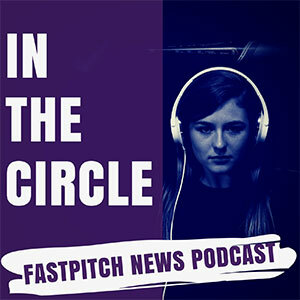 He is currently writing a book, Turn and Look: Women’s College Softball Is Crushing It.